January 17th, 2017 by Dr Wheeler. I am pleased to announce that Bayhead surgery will be back up and running from this week. We had struggled to find accommodation after the old janitor building was knocked down. But headmistress Jane MacSween at Sgoil Uibhist a Tuath has been supportive and we now have access to the medical room in the school. We will be there on alternate Thursdays. Patient’s can pick up medication from 3.30, and there will be some appointments available for you to see the doctor from 3:40 onwards. Please phone the practice with prescription / appointment requests as usual. The facilities are limited – if you need extensive examination / investigation or even just full access to your medical record – these branch clinics are not ideal. 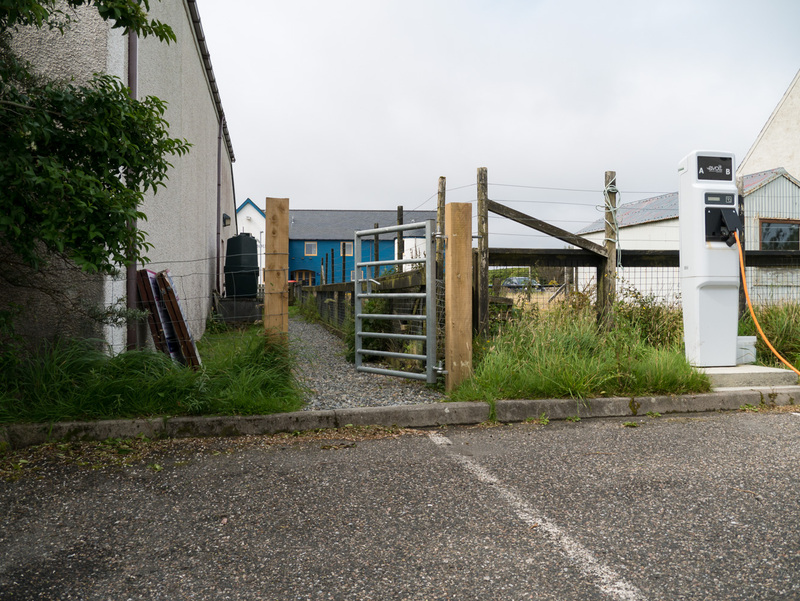 We are pleased to be able to offer the service on the West side of the island again – I know some of you did really appreciate not having to come out to Lochmaddy for routine appointments / medication collections. £1088 for Million miles for Ellie. November 26th, 2016 by Dr Wheeler. Thank you so much to everyone who helped sponsor me for the Hebridean challenge recently. I was running / cycling / kayaking for ‘Million miles for Ellie’ – the fantastic local charity set up in memory of Ellie MacDonald. We raised £1088.75 in total, and the Heb challenge as a whole added several thousand miles to the mileage tally. I would also like to add some more miles with the 288 that were completed by myself and 2 friends doing the West Highland way recently. It has been great seeing the island rally round this local fundraising effort – keep it going! More donations can be added here. We would like to extend a warm welcome to Dr Billyard who has just started at North Uist Medical practice. He has moved here from Devon with his wife, and has quickly got to know the area already with a trip to Harris and Lewis, and a climb of North Lee under his belt. 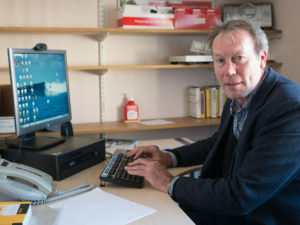 He is an experienced GP with a background in training medical students and doctors, as well as exposure to working abroad. August 18th, 2016 by Dr Wheeler. Thank you to those who replied to this years practice survey. Everyone here is very grateful for the kind comments received, and the very high satisfaction scores that you have given us. The survey is also a chance for you to help us improve our service with constructive criticism. One theme that came up (and has come up in previous years) is related to appointment times outside normal work hours. It is clear from the survey that patients do appreciate the fact that access to a GP or nurse in North Uist is far better than in the vast majority of practices in the rest of the UK. There are however a small number of patients with chronic health issues that need routine reviews – but who find it difficult to co ordinate their appointment with their occupation. As a result, we have opened up some later slots on alternate Monday evenings to help these people out. Anyone could book one of these later appointments – but we would like to prioritise them for patients in full time employment who have otherwise got access issues. These appointments are not likely to be suitable for urgent queries in a lot of cases. The full range of blood tests may not be available and our nurse won’t be present – but they would be ideal for patients with (for example) hypertension / asthma / regular long term medication needs who just need to check in with us every so often. Please remember to order repeat prescriptions 48 hours in advance of these appointments if you would like to pick up medicines at the same time. 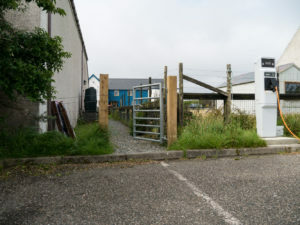 You may have noticed the new gate that has been put in at the top of our car park. This was in response to a good idea from John Macdonald. He wondered if the Community council would mind patients from the practice leaving their cars at the hall to help relieve pressure on our limited spaces. They agreed, and the health board kindly funded the path and gate on a small patch of waste ground to facilitate its use. Feel free to park in either car park when you visit the practice, and thank you to everyone who worked together to make it happen.